A great Earl, and his bodyguard, these men are the closest confidents of their Lord and train at his hall in the art of warfare. 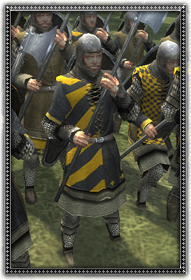 Armed with the axes and heavily armoured these men fight to protect their Lord. Guards to a Saxon Earl.